It’s all here at Baptist Heart. That’s because Baptist Heart is your home for complete heart and vascular care. It’s everything you need to keep your heart and blood vessels healthy — from basic tests to lifesaving surgeries to rehab — without having to travel out of state. Baptist Heart is proud to be part of Mississippi’s first name in heart care: Baptist. And that’s good news for our patients. Because Baptist is defined by a spirit of healing. Click to meet us. What do our patients have to say? Listen to personal accounts of our patients’ lifesaving heart procedures, including two of the nation’s first TAVR patients and Mississippi’s first-ever robotic mitral valve repair patient. Click to hear their stories for yourself. Robotic mitral valve repair. TAVR. MAZE. Finally, procedures like these and many others aren’t states away, but here — at Baptist Heart. Technology is always advancing, and Baptist Heart advances with it. So you can count on Baptist Heart for the precision, peace of mind and less-invasive procedures that are shaping the future of heart care. Click to see all Baptist Heart services. When it comes to expertise, Baptist Heart beats stronger than any clinic in the area. Because only Baptist Heart provides complete cardiovascular care under one trusted roof. Here, you’ll find specialists in cardiology, cardiac electrophysiology, cardiovascular surgery and even peripheral vascular surgery. 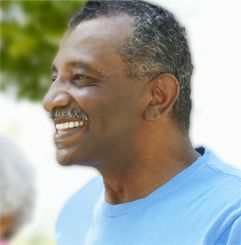 You’ll also find the support of a renowned rehabilitation team to help you get back to your life. Click to meet our physicians. Baptist Heart is part of Mississippi’s first name in heart care: Baptist. That’s why we strive to nurture a spirit of healing and hope in the lives we touch every day. From our skilled cardiologists and cardiovascular surgeons to our tireless team of nurses and staff, we are leaders in healthcare and followers in faith. Click to get to know us. Click to meet the Baptist Heart team. At Baptist Heart, we care for your whole heart...and your blood vessels too. Our team of cardiologists and cardiovascular surgeons brings a broad range of expertise to your heart care. And as technology advances to support less invasive procedures and faster recovery times, Baptist Heart advances with it. Get to know us. The more closely your physicians communicate and work together, the better. Baptist Heart brings together all the specialists, surgeons, and services you need to keep your heart and your blood vessels healthy, in one place, with one interconnected team. So your personal heart care journey can be as smooth as possible. View our services. The only Robotic Mitral Valve Repair team in the tri-state region. This minimally invasive procedure is revolutionizing mitral valve repair, and it's right here at Baptist Heart. Baptist Heart is home to the only Robotic Mitral Valve Repair team anywhere in Mississippi, Arkansas and Louisiana. Trust your heart to Baptist Heart. Make an appointment today or call 601-968-1966. Heart Basic Screening for ages 18 and older. For more details, click here.